I wanted to try making Chicken Piccata the other night. I've had it at a restaurant a couple of times and thought it was very good. 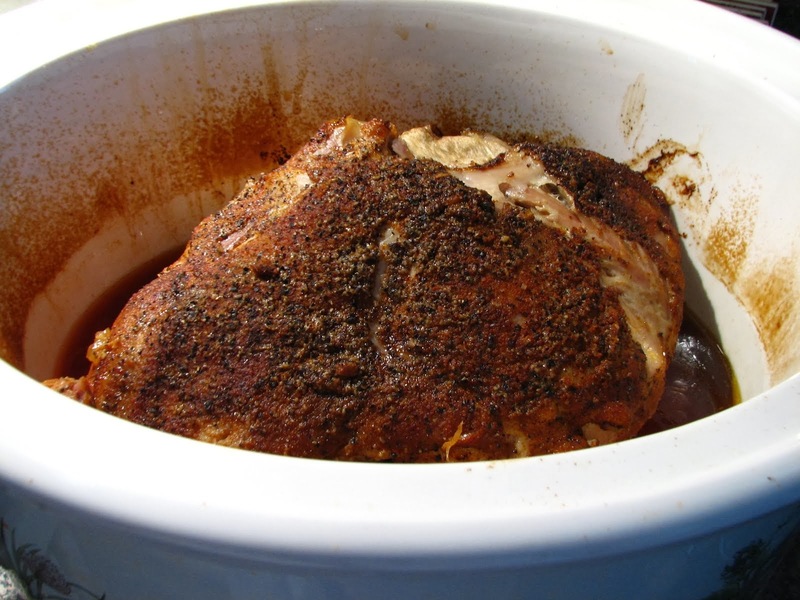 It is also a very quick dish to prepare, making it perfect for a week night meal, or a special meal anytime. 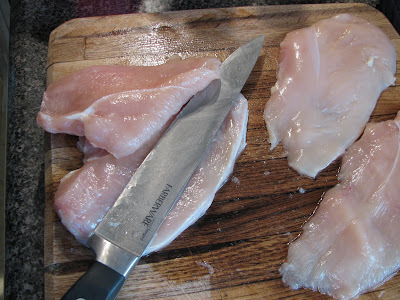 The chicken breasts I had were very large so I butterflied them and cut them in half. To do this, lay the chicken breasts on a cutting board and cut them in half using a very sharp knife. This will give you 4 servings. If you have small chicken breasts, lay them between sheets of plastic wrap and pound until the meat is an even thickness all over. They won't need to be cut in half if small. This recipe calls for a lot of butter and olive oil, which I cut down some. I also used less fresh lemon juice than called. Unfortunately I thought this dish was still a bit too tart. Even though this is a restaurant quality dish, this Chicken Piccata was not a hit with my family. It was as good or better than what I've had when eating out. My 22 year old daughter thought the lemon was too harsh. My husband wasn't overly fond of it, saying it was just OK. So even though I liked it, I probably won't make it again. Not if I'm the only one eating! Here's the recipe. If you try it, let me know how you liked it. 4 tablespoons unsalted butter- recipe calls for 6 T.
4 tablespoons olive oil- recipe calls for 5 T.
In a large skillet over medium high heat, melt 1 tablespoons butter with 2 tablespoons olive oil. when butter and oil sizzles, add 2 pieces of chicken and cook for about 3 minutes. Turn chicken over when golden, and cook on the other side for 2-3 minutes. Remove chicken to a plate. Add 1 more tablespoon butter and 2 tablespoons oil to the skillet. Add the other 2 chicken pieces and brown as before. 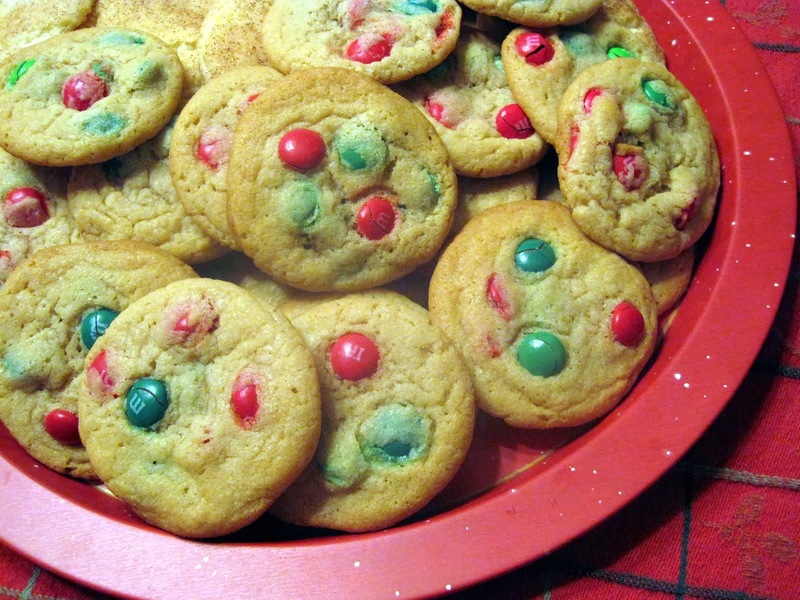 Remove these to the plate. Reduce heat to medium low and add the chicken stock, lemon juice and capers. Bring to a boil and stir, scraping up all the brown bits from the pan for flavor. Check seasoning. I added about 1/4 teaspoon salt and the same for pepper, but it may depend on how much salt is in the chicken stock. Return chicken to skillet and simmer for 5 minutes. Remove the chicken to a platter. Add remaining 2 tablespoons butter to the sauce in the pan and whisk vigorously. Pour sauce over chicken and garnish with parsley. I platted the chicken over cooked orzo and it soaked up the sauce nicely. I've also had it with garlic mashed potatoes and it was yummy! Is there a dish you like that the rest of your family doesn't? I love chicken piccata, but my family thinks it's just okay. I haven't tried this version but usually I like Giada's recipes. It looks yummy. I have never made chicken piccata but every time I see it, I plan to do so. I like subtle lemon and maybe, I can try it with a lot less lemon juice and it will be all right. chicken piccata isn't a hit with me either--there's something about capers that just turns me off. i do love pounding meat, though--it can be very cathartic! Brussels calling! Your chicken piccata looks so tempting & tasty!! 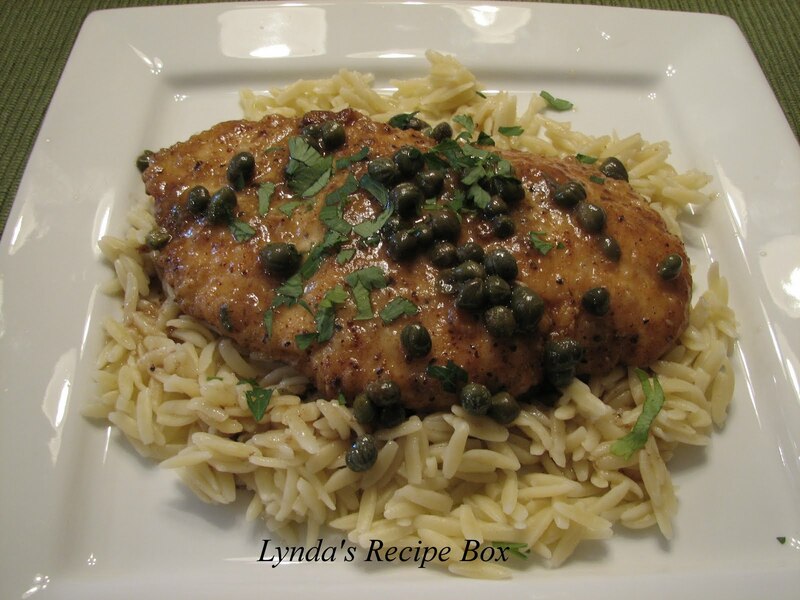 Your chicken piccata looks totally delicious! I love lots of capers with it. I haven't tried making chicken piccata..now is a good week to start..Thanks! What can I say? We are a chicken piccata family - whenever I don't know what to make - my family suggests this (they call it lemon chicken).I don't know Lyndia, looks mighty good to me! We love chicken piccata! This looks so delicious! Bring on the lemon! Boy, this looks good to me! Your chicken piccata looks amazing!!! I love love love anything Piccata! Looks wonderful! What she said. We love this too. We also do this with pork and halibut or salmon too. I'll take extra butter, lemon, and capers please. Yours looks wonderful. I love chicken piccata and the tartness. But taste is subjective. My husband loves capers, I can take them or leave them. 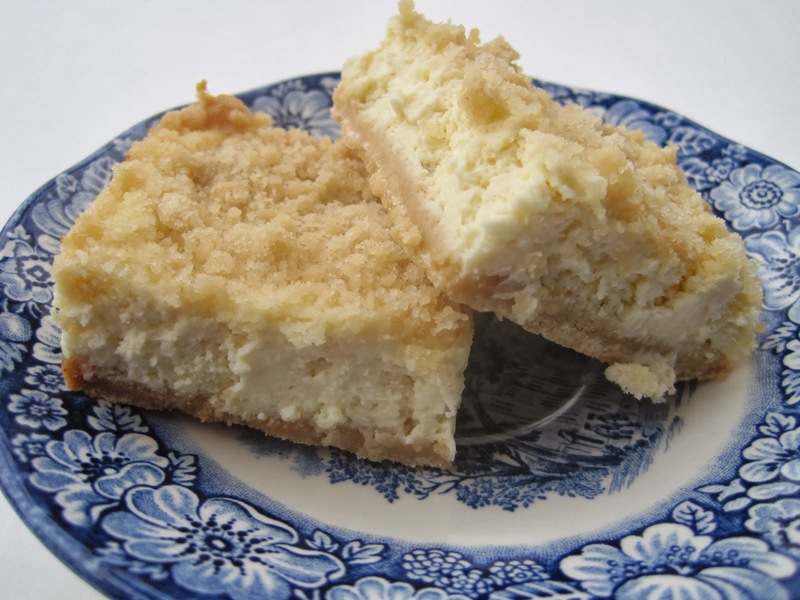 I usually like Giada's recipes, but you know how overly fond she is of lemon! However, this dish is supposed to have a lot of lemon...maybe it was the capers? The photo looks tempting, though. I do like chicken piccata with all the lemon and capers and Giada's recipes are usually good so I'll probably give it a try. It's so appealing on the plate, Lynda. The first time I tried chicken piccata, I didn't like it-- too lemony. Something brought me back to it though and now it's one of my favorites, although like you, I usually use less lemon juice, but LOVE the capers! 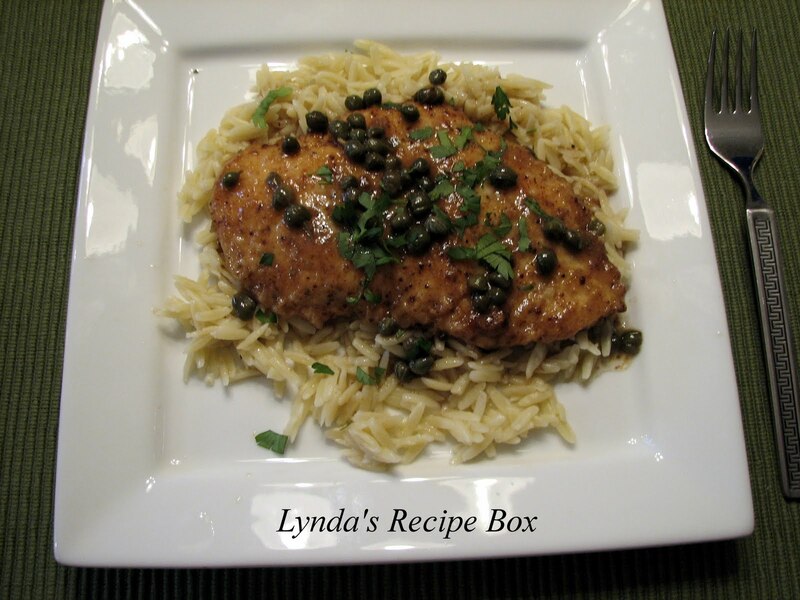 Lynda, I make Chicken Picatta often. Try this for a smoother taste... Add some white wine to the sauce after you remove the chicken, turn the heat up for about 1 min, then pour over the chicken. It also helps to derve with a pasta under the chicken & sauce. After cooking the chicken, and before adding the other liquids, add some white table wine (a chardonnay is fine), use that to loosen the flavor bits from the pan, then add the rest. Serve it atop some pasta. You might find it a hit next time! Laura, thanks for the advice...I did serve this with orzo pasta, but I'll try your tips the next time I try this dish. I appreciate your taking the time to comment to help me out. Thanks!